and the level of service provided. Nothing compares to the beauty of natural granite, and its functionality only adds to its value. Harder than steel, true granite takes on a mirror-like finish that requires minimal upkeep. Granite, however, can also be one of the more expensive improvements. There do exist several options, some of which a do-it-yourselfer can accomplish relatively easily, but at a cost. Tile, modular and slab granite are the three options available to the homeowner. There are pros and cons to each option. 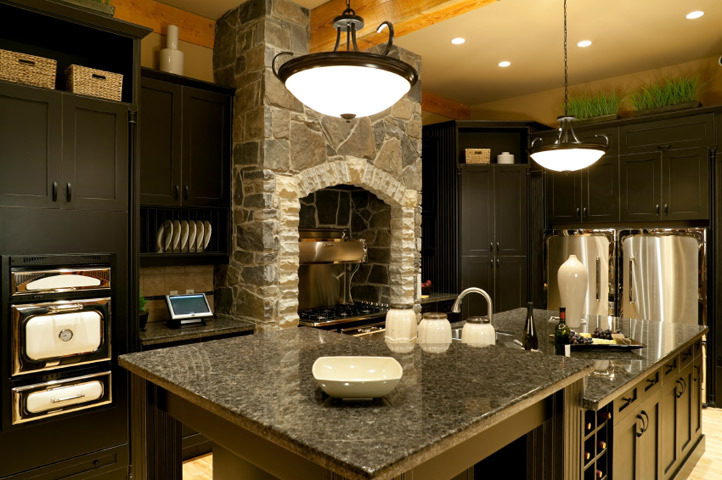 Remodeling your kitchen in granite may be one of the top improvements a homeowner can make.